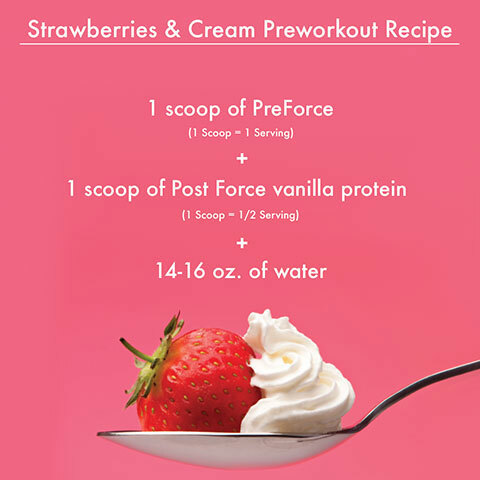 Combining 1 scoop of PreForce and 1 scoop of Post Force vanilla protein before a workout makes your pre-workout drink taste like Strawberries & Cream! Mix with 14-16 oz. of water.